What Ever Happened to Starhawk? 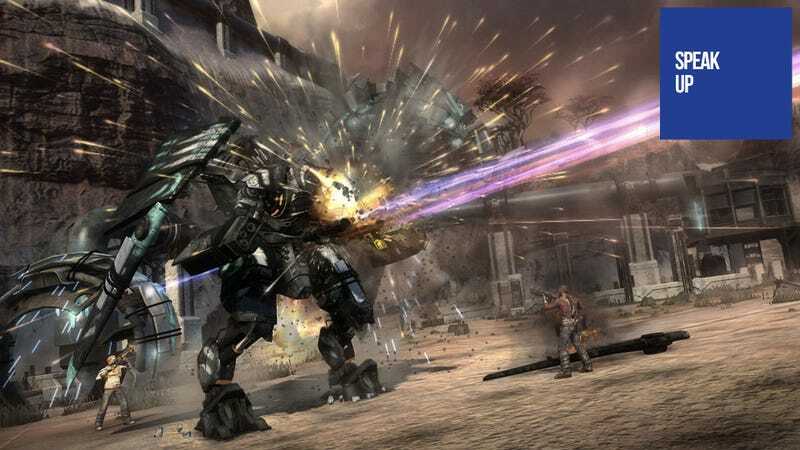 In today's lost in space edition of Speak Up on Kotaku, commenter Golwar is concerned about the fate of Starhawk, the PlayStation 3 exclusive online shooter that showed so much promise up until it became a real product. I'm wondering, what happened with Starhawk? During the beta this game had been a hot topic around here, adored by many. If I'm not mistaken there was only one other person who criticized the game in those days as much as I did. Now, 2 months after release, I didn't register that even one of my ca. 50 friends ever played Starhawk. This includes some people of Speak Up, who always seemed to love the game. According to [www.vgchartz.com] only 0.15m copies were sold worldwide. In comparison, Sniper Elite V2 ( [www.vgchartz.com] ) sold almost twice as many copies and it had been released in the same time frame and received worse reviews. Checking an online PSN profile database shows that 8,663 of about 660k tracked accounts own Starhawk. In comparison, 48,257 of those accounts have Warhawk. So I think it seems reasonable to consider Starhawk a flop. The question is simply why? People seemed to love the concept and idea. The beta didn't change their minds, quite the opposite. Did the reviews [www.metacritic.com] ruin the party?